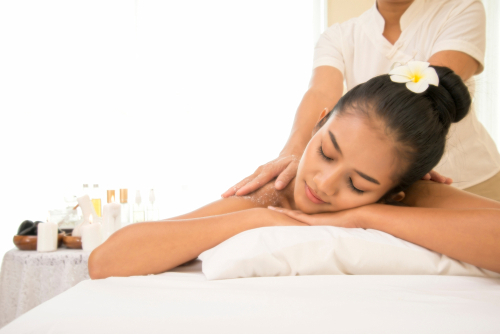 Do you like to have a quality massage in Singapore that is worth the value for your money? Well, having such kind of massage is not only dependent on the person giving it but also you. Therefore, it is necessary for you to know some few tips to enjoy massage. For over a thousand years there has been incredible evidence that massage works. However, in the past, it was treated as a special or luxury treat to the nobles. · Relieving stress, depression, anxiety, and muscle tension among others. Despite that, did you know that you can have a good massage with the above benefits and not enjoy it? Yes, it is true. Then, how do you make sure you get the best out of every massage you have in Singapore? · Relax and be calm; imagine going to a massage parlor with a lot of thoughts running through your mind. Will you even enjoy it? Definitely not. It is thus necessary to leave all your trouble and worries out there before walking into that spa or parlor and having a massage. This will help you to relax, loosen up and feel at home. · Avoid distraction; we love to carry our phones everywhere we go. But, in a massage parlor, a phone will do you more harm than good. You need to be able to relax and give yourself fully to the massage. However, frequent distractions from calls will greatly affect the level of enjoyment and quality of a massage as they will disrupt your peace of mind. Thus, switch off your phone. Moreover, if you have gone with someone for a massage, let them give you enough time to be massaged without any unnecessary distractions. · Communicate; our bodies are unique and every massage is always tailored to fit your body’s needs. It is wise to always speak with your therapist and guide him/her to know how you would like the massage to be done. If you don’t like or like something, speak out to help your therapist serve you better. In addition, if you have a health condition, it is wise to communicate the issue to your therapist. You came to have the best and that is what you should get. · Schedule enough time for massage; to fully enjoy your massage, make sure you are not in hurry; don’t feel rushed. Imagine having a massage when you are time conscious, constantly looking at your watch. Will you even enjoy it? The thought of being late can greatly affect the quality of massage you have. This is because you will be worried that your massage might take long and that is not a thought you need to have when trying to enjoy that treat. As a consequence, instead of enjoying it; you will be wondering when will your therapist be done. Also, make sure you get at your massage parlor in time. This will help you to relax and familiarize yourself with the environment. · Breathe; breathing helps you to feel relaxed and that is something you need when having a massage. Therefore, when having a massage breathe naturally and do not hold your breath as that might tighten you a bit. Furthermore, it will help your body to distribute oxygen efficiently to different organ tissues. · Do not go for a massage on a full stomach; food is good. Nonetheless, you might have to raincheck having a heavy meal before you head for a massage. You will be required to sleep on your stomach for a while, and that can prove to be very uncomfortable on a full stomach. So, if you need to eat, take something that is light and one that will not make you feel uncomfortable when you lay on your tummy. · Find a therapist whom you are comfortable with; having a massage is intimate. You let someone touch your body in a deep way and that can be uncomfortable if you are not at ease with your therapist. Therefore, if you need to enjoy your massage, find someone whom you are comfortable with in every aspect of the massage. 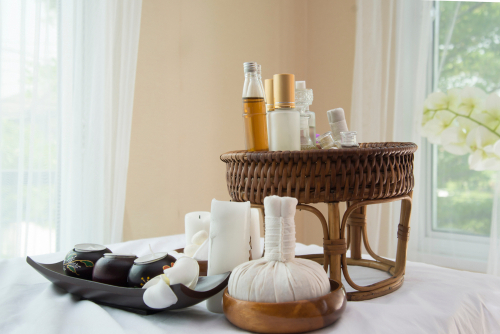 · Create a conducive environment for massage; massage is influenced by the environment. Who would like to have a massage in a noisy place, with a lot of movements, and abundant light? A good environment with dim lights, a soothing music, and serene, isolated from the public would greatly make you enjoy your massage. · Find a therapist who is good; there are different kinds of massage that are adopted in Singapore, some are western oriented and others are indigenous. Depending on the massage that you need, find a therapist who is good at that particular massage type for you to enjoy the massage experience fully. · Be receptive; massage is just like getting into a restaurant and eating a well decorated delicious meal. Some people will notice the effort that was put in the cooking and decorating the food while others will just eat the food to be full. Those who noticed the decorations and how delicious was the food will have a great experience than those who just ate their meal because they were hungry. Similarly, people who take note of how the massage is done and flow with it appreciating every action taken will enjoy it more. Enjoy every physical and emotional bit of your massage. · Wear what you are comfortable with; some massages require that people remove their clothes while others target certain areas only. Therefore, you can arrange with your therapist on what you can wear or be covered with to avoid feeling uncomfortable during massages. Therefore, we can agree that by going through these tips to enjoy massage being comfortable is a major component of a great massage as this will make you enjoy it even more. Thus, remember that you need to avoid distractions, be receptive, wear what you are comfortable with, find a good therapist, avoid eating before your massage, have your massage in a good environment, avoiding holding your breath, communicate, schedule enough time, be calm and relaxed. By following these tips to enjoy massage, you are guaranteed of a quality massage experience in Singapore.